HeatSmart Campaign Manager Lindsay Speer says they want to bring heating into the 21st century. Speer says the program aims to modernize residential and commercial heating systems by installing air and ground source geothermal heat pumps designed for cold climates. Speer says the air source pumps were once thought not to work in cold environments, but technology advancements have made them fully functional. Speer says they hope to start with 100 homes and grow from there. Syracuse Common Councilor Joe Driscoll was among those who unanimously passed a resolution supporting the program last week. 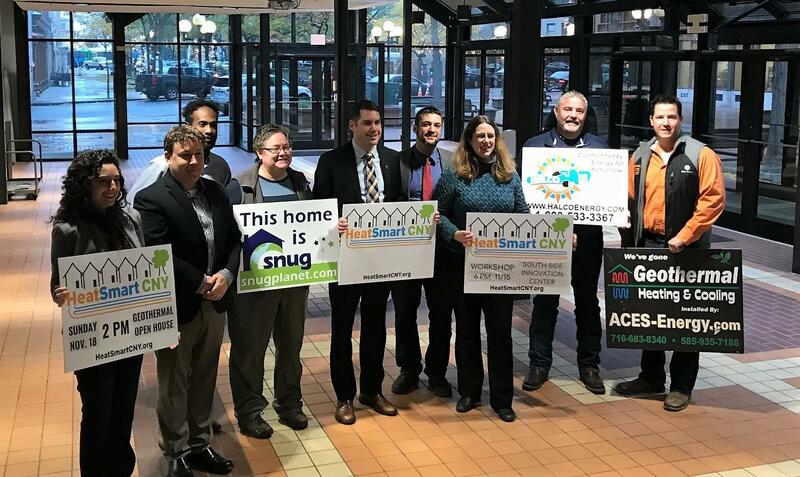 Snug planet, Halco, and Geotherm/Aces-Energy were selected by the HeatSmart CNY Steering Committee as installers of the heat pumps as part of the program. Funding for the program also covers workforce training. Residents can learn more at a series of upcoming open houses and workshops, including the kick-off November 14th at 6:00 p.m. at the South Side Innovation Center. More information can be found at heatsmartcny.org.